If you want a premium looking dress, then this Abaya dress is the one, you should go for. 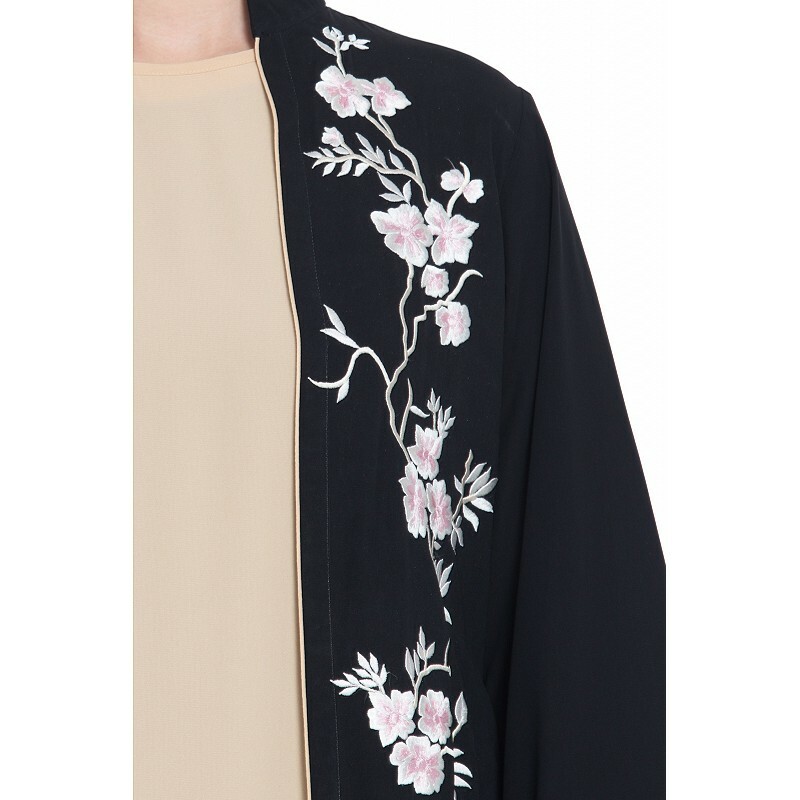 Go for this Luxurious Abaya Dress with an embroidered motif on the bodice in matching colors. It has two layers and both can be worn separately. The Inner Layer is a plain and simple Fawn Color- 'A-Line' Abaya while the Upper Layer of Cardigan can be worn with any other garment as well. It has a Piping in contrast over the front panels and sleeves. Length is from high point shoulder to the desired length. Disclaimer- Color of product may slightly vary depending on the resolution of the device in which the image is viewed. Cash on delivery as well as online payment for this lace burqa with a belt is available. Also free shipping to any part of India.